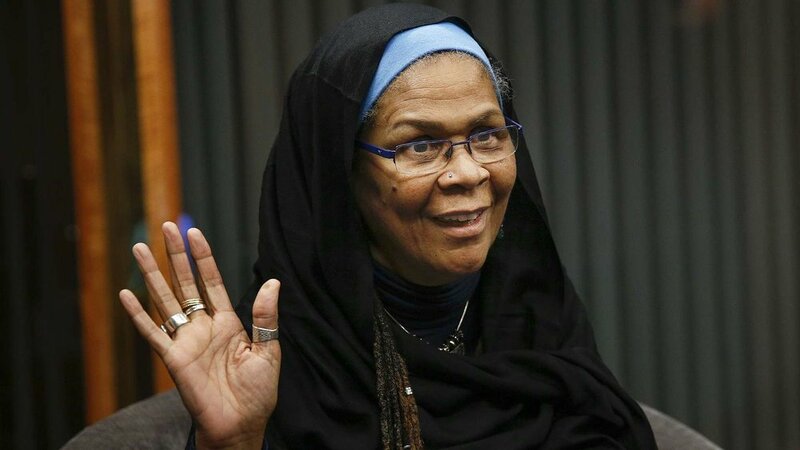 Photo Courtesy of afterposten.no || Progressive scholar of Islamic studies D.r Amina Wadud speaks at Smith College. “According to Islam, if you believe in things, you have to do everything you can to achieve them. I take inspiration from Gandhi who said that you must be the change you wish to see in the world. Social justice, gender equality, love, mercy and reciprocity between women and men are the inspiration I received from the Quran and I will do everything I can to achieve this in the world,” Wadud said in conversation with Azzurra Meringolo from Reset Dialogues on Civilization, with Dr. Amina Wadud. In the interview, Wadud discusses the ways she incorporates her religion and academic prowess into her activism and social work. Wadud is the Professor Emeritus of Islamic Studies at Virginia Commonwealth University in Richmond, Va., as well as a visiting scholar at Starr King School for Ministry in Berkeley, Calif.
Wadud grew up in a Methodist, Afro-American family but speaks to the ideals of religious exploration and freedom that her father, a Methodist minister, instilled at her from a young age. Wadud also found that Islam appealed to her because the relation between God and justice is more articulated in Islam than in other religions. Racial and economic equality are important components of the faith. She often used the term “radical pluralism” to describe the diversity of opinions that are present in the Muslim community and their individual dignities, as well as “musawa,” meaning reciprocal equality of treatment and opportunity. In 2005, Wadud made national news by leading a mixed-gender prayer service in the Synod House in New York. Her decision to lead the prayer drew mixed reactions, but the heart of the issue lies in the question of whether Muslim women and men have the same privileges in the practice of their faith. Partitions have traditionally separated women into less desirable places than men during prayer services, and men have been required to attend Friday prayer, whereas women have not.